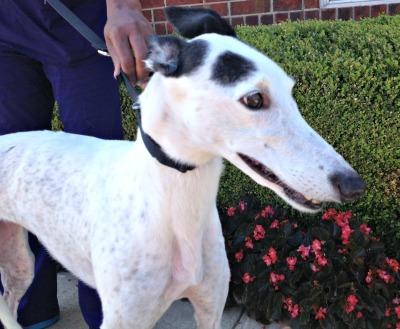 Dottie, aka Cowgirl, is an 8-year-old white & black female born June 4, 2005. Her sire is Ethereal Eagle and her dam is Rosalyn. 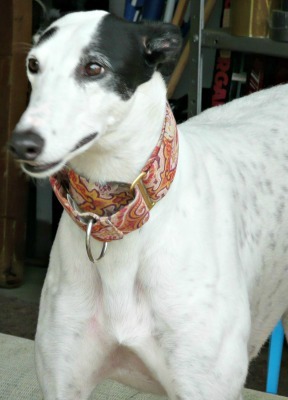 Dottie never raced, preferring to head straight for an adoptive home where she lived for six years. 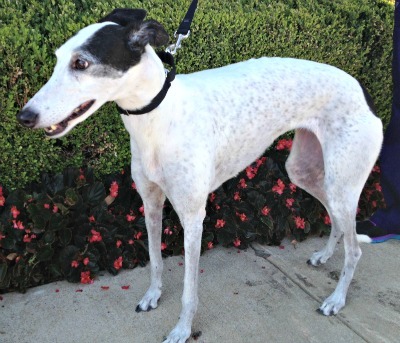 Unfortunately, Dottie was not adapting well to the new addition of small children to her home, so she has joined the GALT family to search for a new retirement home.